Concrete is used to achieve that durability in any infrastructure. Portland cement which means concrete is nothing much, but a mixture formed or composed of fine and coarse aggregate bonded with a type of cement which hardens upon passage of time. The cement may be a lime-based cement, hydraulic types of cement like calcium aluminate cement, Portland cement or fluid cement. 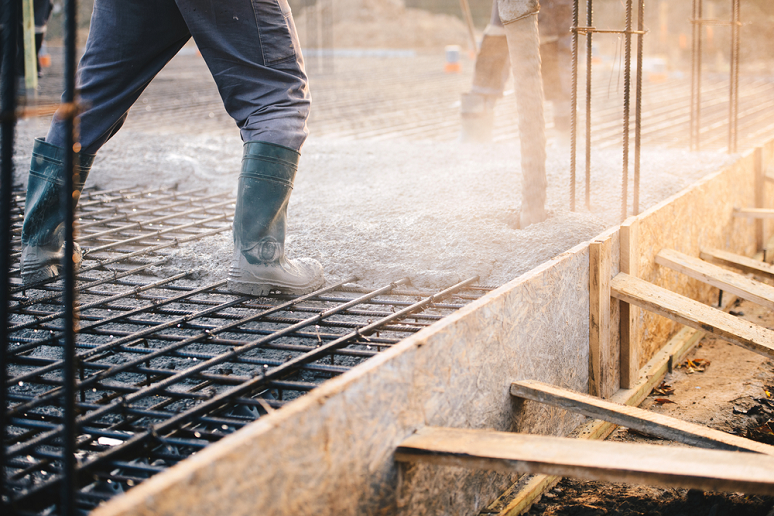 There are different varieties of concrete depending upon the type of construction. During formation of concrete, a semi-liquid slurry is formed which can be cast into any desired shape upon pouring into any designed shuttering configurations or formwork with a certain size. There is no such particular temperature for the setting of concrete. It hardens and gains its strength at ambient or room temperature because cement is a low temperature bonded inorganic material. Therefore, concrete formation is optimized with admixtures if required. Apart from this, concrete also has excellent thermal mass, and it is completely fire-resistant with high quality affordability. When you use reinforced concrete in comparison to other building materials, the strength and durability is uncomparable as and when you go for other concreting products. Concrete has excellent water resistance capability. It can withstand water and corrosion without severe deterioration. Having such a property, it is ideal for underwater applications which also make it weather proof. The recycled product of industrial wastes can be used as a substitute for aggregate. It can be either fly ash, slag called GGBFS. Using such scraps do not affect the quality of concrete. There is no compulsory to maintain concrete by painting, coating as protection for weathering. Hazardous dust is produced upon grinding of concrete. Kidney disease, silicosis, irritation of skin is seen upon exposure to such chemicals. It should be kept in the notice that there must present local exhaust ventilation shrouds to electric concrete grinders which control the spreading of dust. The National Institute for Occupational Safety and Health has taken many measures for this act. Improper ergonomics is also a problem need to be taken care. If you use steel and concrete separately, it will not be a good option. However, a mixture of both steel and concrete provides a comprehensive strength. Concrete should be cleaned periodically to extend the lifespan and mainly for aesthetic reasons. Otherwise, dirt builds up gradually on its surfaces. To clean external concrete like the removal of oil or stains by grease, powder washer is used. Potassium hydroxide containing products is best to be used for such cleaning followed by acid neutralizer application. Concrete has become an important asset to building any house. With the advance of lifestyle, people prefer less expensive things that give a good look. Therefore, Concrete floors have become an essential part of construction nowadays because of its strength and durable nature.